Hot Tuna, the duo of Jorma Kaukonen and Jack Casady, perform with a well-honed and solid power—always in the groove from their years of experience and mutual inspiration. 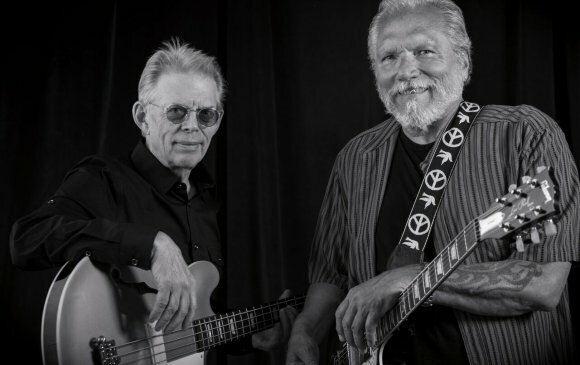 Started as a side project during Jefferson Airplane days, the constant, the very definition of Hot Tuna, has always been Jorma Kaukonen and Jack Casady. The two boyhood pals have never wavered in one of the most enduring friendships in rock history. From their days playing together as teenagers in the Washington, DC, area, through years in San Francisco (they're 1996 Rock and Roll Hall of Fame inductees), to their current acoustic and electric blues sound, no one has more consistently led American music for the last 50 years than Jorma Kaukonen and Jack Casady, the founders and continuing core members of Hot Tuna. At the 2016 Grammys, Jorma Kaukonen and Jack Casady were honored with Lifetime Achievement Awards, and they're still coming up with new ideas. General Admission: $45. Reserved: $52. Gold Circle: $74.99. Service fees apply.